Laverne & Shirley Photo courtesy of the Marshall family. Photo courtesy of the Marshall family. As a salute to the late Penny Marshall and her iconic character Laverne, the Garry Marshall Theatre opens its doors and invites all ages to share in a 12-hour “Laverne & Shirley” marathon on Sunday, January 27, 2019 from 10:00 am-10:00 pm. 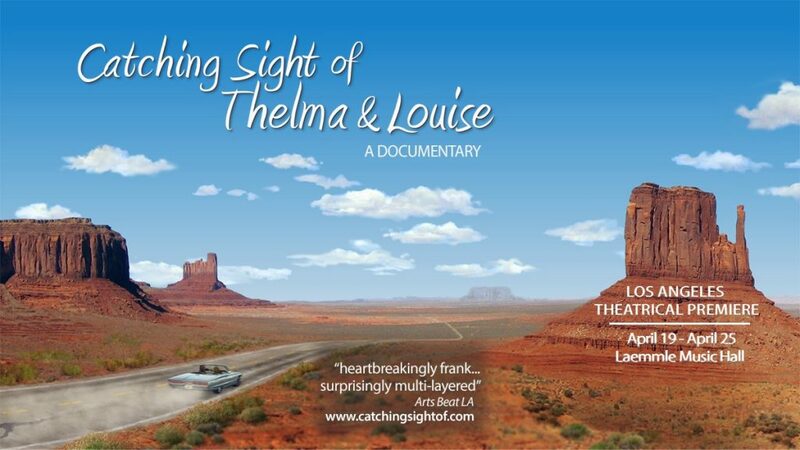 Information can be found by visiting www.garrymarshalltheatre.org. The open-house marathon celebrates Marshall, Cindy Williams, its all-star cast and the hilarious sitcom that still has families laughing around the world. Ms. Williams will appear in person as a special guest during the marathon. Penny Marshall, sister to Garry Marshall, will forever be remembered as the lovable tomboy ‘Laverne DeFazio’ playing opposite Williams’ ‘Shirley Feeney’ in one of the most popular and memorable series in television history — about two blue collar friends in Milwaukee in the late 1950s. 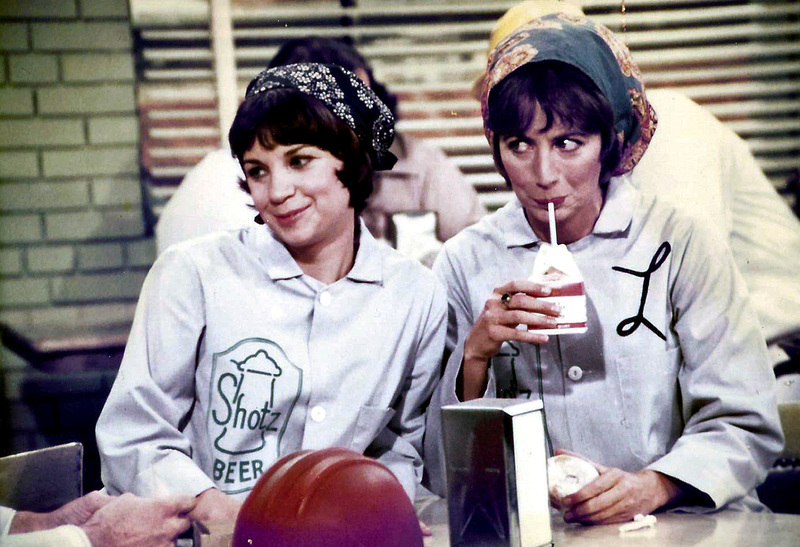 The series followed the lives of Laverne DeFazio (Marshall) and Shirley Feeney (Williams), who were friends and roommates working as bottle-cappers in the fictitious Shotz Brewery in late 1950s Milwaukee. Later they moved to Burbank, California, current hometown of the Garry Marshall Theatre. Michael McKean and David Lander played Lenny Kosnowski and Andrew “Squiggy” Squiggman, their friends and neighbors, and the cast included Eddie Mekka as Carmine Ragusa, Phil Foster as Laverne’s father Frank DeFazio and Betty Garrett as Edna Babish, the girls’ landlady. 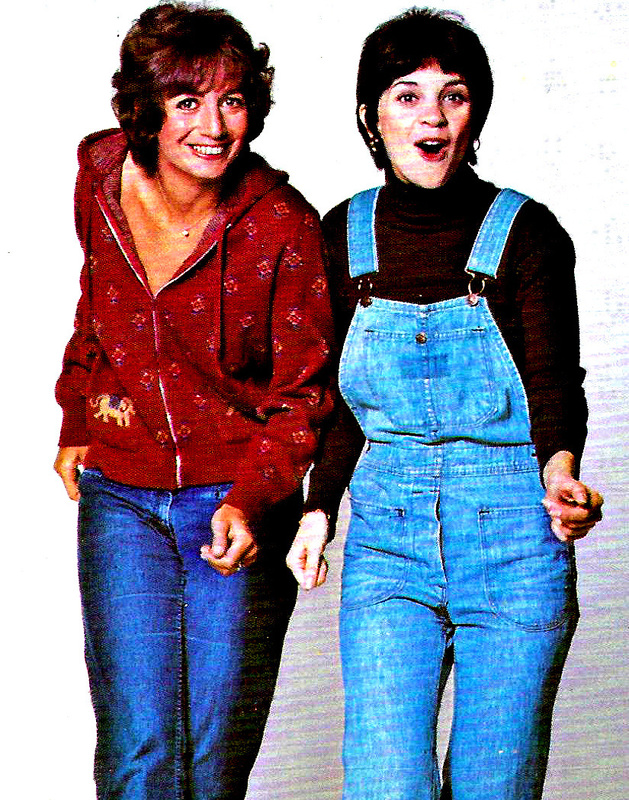 By the third season “Laverne and Shirley” was the most watched American television program and was nominated for two Golden Globe Awards and a primetime Emmy Award in 1979. Laverne and Shirley were first introduced as acquaintances of Fonzie (Henry Winkler) on “Happy Days” when the timeline of the series began in 1958, and continued through 1967, roughly when the series ended. The first episode of “Laverne & Shirley” aired in January 27, 1976 and paired with “Happy Days,” it quickly became a top ten hit – and eventually overtook “Happy Days” itself for the number one highest Nielsen rated series, a distinction it held for two seasons. Original episodes continued to air through 1983. The camera loved “Laverne & Shirley” – but Penny Marshall was later considered a visionary behind the camera. She directed episodes of the series before becoming a renowned director. After her film directorial debut, Whoopi Goldberg in “Jumpin’ Jack Flash,” Marshall directed “Big,” starring Tom Hanks who was nominated for an Oscar, and became the first female director to make a film that grossed over $100 million. That fantasy about a 12-year-old in an adult’s body, who then has to live in an adult world, was beloved by audiences and hailed by critics; no one who saw the film ever forgot Hanks dancing on a life-sized keyboard at FAO Schwartz. Carole Penny Marshall – named after her mother’s favorite actress Carole Lombard – was a tomboy who loved sports, doing puzzles of any kind, drinking milk and Pepsi together and being with her family. She was a comedic natural with a photographic memory and an instinct for slapstick. She grew up on the Bronx’ Grand Concourse (3235) which was the childhood home of Neil Simon, Paddy Chayefsky, Calvin Klein and Ralph Lauren. She began her career appearing in a commercial for Head and Shoulders shampoo opposite Farrah Fawcett. Her big break was in 1970, when Garry, her brother, cast her to play Myrna in “The Odd Couple” series starring Jack Klugman and Tony Randall. In her final appearance she married her boyfriend Sheldon, played by Rob Reiner, who at that time was her real-life husband. Later she appeared on “The Bob Newhart Show” (1972-1973) and “Paul Sands in Friends and Lovers” (1974). Laverne goes undercover as a decoy to help catch a thief, as the Milwaukee Police Department has no female officers. Bo Kaprall played Officer Norman Hughes, who would turn up in a handful of later episodes. In the season two premiere, Shirley has her eye on a $200 car (a 1952 Hudson Wasp convertible) owned by one of Carmine’s pals. Only, she’s a little short of cash and needs Laverne to pony up half the cost. One catch — Laverne can’t really drive. Shirley talks Laverne into joining her at the hospital as a volunteer worker. But the two are truly looking for love, as Shirley angles for a doctor and Laverne crushes on a neighbor, Jerry (Charles Frank), undergoing knee surgery. A visit from the Happy Days boys! The girls get Richie and Potsie as partners for a dance contest in this crossover episode. This also marked the first appearance of Betty Garret as Edna Babish, the landlady. The girls receive an invitation to the wedding shower of Elinor Stephanick, the third-to-last unmarried member of their high school sorority. Old high school beefs make for one unpredictable shower. Laverne accidentally stuffs a $75 scarf into her purse at an expensive clothing boutique. The theft lands her behind bars — with the bail set at $500! The girls need money, as usual, this time for a businessmen’s cocktail party with a $20 entry fee. To get the cash, the two volunteer as paid subjects in scientific experiments at Institute of Behavioral Sciences. Laverne enters a sleep study; Shirley, a nutrition study. Harry Shearer guest stars, teaming up with his future Spinal Tap band member Michael McKean (Lenny). Shotz Brewery lays off the bottlers for three weeks, so the girls find work as taxi dancers (a paid dance partner in a partner dance). The fee? A skimpy 10¢ per dance. Laverne and Shirley have a big date and want to look their best. A raging fire across the street has other plans. In the season three premiere, Laverne and Shirley win the Shotz lottery and tickets to see the Packers play the Colts in Baltimore. This mean the first ever airplane ride for Laverne. Unfortunately, the pilot passes out, meaning one of them will have to take the controls! Much like the Supermarket Sweep game shows of the 1960s and 1990s, this episode centers around Laverne winning a manic grab-all in a grocery store. How much food can one possible fit into a cart — and a sweatsuit for that matter?